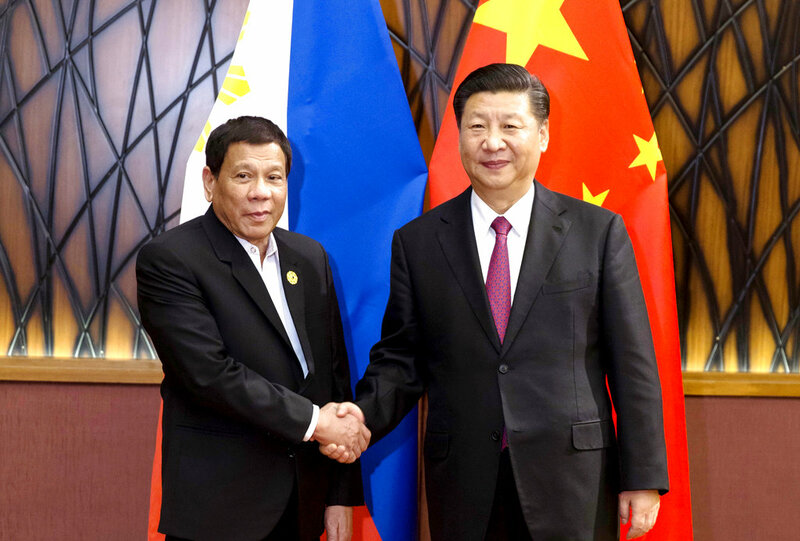 Amid the furor over the visit of Chinese president Xi Jinping in the country, veteran journalist Serafin “Jun” Ledesma shares his insights on what we Filipinos should expect on the historic visit as well as the impact it may bring to the country’s economy. In a post he shared on Facebook, veteran journalist Jun Ledesma recollected the time when he was invited to attend a meeting with Bai Tian, then deputy director-general at the Asian Department of the Ministry of Foreign Affairs in China and in charge of Asean affairs. This was in late 2015 when the term of Noynoy Aquino was coming to an end, and the Chinese Ministry of Affairs have accepted the fact that there will be no bilateral talks regarding the conflict on West Philippine Sea. 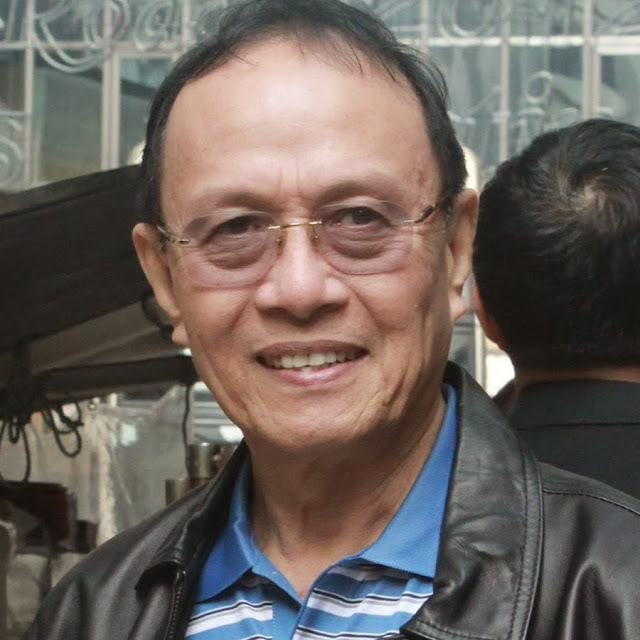 When discussing the presidential bets in the 2016 presidential elections, Bai Tian asked who Duterte was, and being a Mindanaoan himself, it was Jun Ledesma who answered and talked about who Duterte is. He also said that Duterte is a person that might be open to bilateral talks. Ledesma also said that the Chinese Bai Tian was emotional when talking about the Philippines. Bai Tian said that he stayed in the country for a long time and has cherished his stay here. He also said that it was unfair of the Aquino administration to portray China as a bully and trigger happy to make war against the Philippines for the disputed islands. Ledesma explained that china is uncomfortable in creating conflict especially in the sea that connects the two nations. The route is very important for China’s trade and is critical to sustain its position as the 2nd biggest economy in the world. It is also the first marine mile of China’s One Belt One Road program, a route that extends to Asean nations all the way to the Pacific and to Africa and Middle East. President Duterte is at the forefront of the turnaround in the Philippines-China relation ever since he took office in 2016. He has redefined the country’s foreign policy by “staying away” from the US, who has been treating us like mendicants or beggars that can be satisfied with a biteful of morsels. The veteran journalist said that Xi Jinpings visit will show that he is a harbinger of peace, goodwill, and development. This might signal the golden era of Philippine-China relations. What makes the Philippine-China relations so distinct from the other countries that China had engaged with? Is it on account of its strategic navigational route that can spell the difference between victory and defeat in commerce and trade and armed conflict or it is simply on account of a special avuncular regard of the China leadership for the Philippines? I found some answers in a free-wheeling discussion with Bai Tian, then deputy director-general at the Asian Department of the Ministry of Foreign Affairs in China and in charge of Asean affairs. He had previously served as a trade and economic counselor in Manila. A group of Manila-based journalists I had the privilege to tag along with, visited his office in Beijing in September of 2015. The term of Pres. Benigno Aquino III was coming to an end and by the tone of his discourse I sensed that early on they have given up on the Aquino administration for any bit of bilateral talks relative to the conflicting claims of islands in the West Philippine sea or South China sea. The Aquino government had brought the conflict to the Arbitration Court in the Hague thus creating a deeper fission between China and the Philippines. I distinctly recalled Director Tian mentioning names of Presidential bets in the Philippines election of 2016. While Davao City Mayor Rodrigo Duterte was still nowhere in the scenario he was making headway in surveys, Tian inquired who Duterte was. Since all eyes turned to me I pitched-in my two-cents worth guessing and then articulating without the permission from Duterte that he is one person who could be open to bilateral talks. And I said more. When we left Director Tian’s office, Melo Acuna, a pillar in the Foreign Correspondents of the Philippines and correspondent of China Radio International asked me if he could interview me. I was intimidated but I agreed. Later, he kidded me that my off-the-cuff testimonial for Duterte was like a voice in the wilderness. Back to Director Tan. He was a bit emotional when he talked about the Philippines. He said that he stayed for a long time in the country and described how he relished his stay. He lamented why the Aquino mouthpieces created scenarios like China is a bully out to make war against the Philippines over the disputed islands. “You do not burn the house of your next door neighbor”, he intoned. Indeed it is foolhardy for China to create conflict in the sea that unites the two countries. That is the only navigational route for China’s trade and is extremely important to sustain and strengthen its position as the 2nd biggest economy in the world. It is the first marine mile of its One Belt One Road centerpiece program, a main route that extends to Asean nations and countries in the Pacific and all the way to Africa and the Middle East. Pres. Xi Jinping has adequately prepared for this economic and diplomatic thrusts. China established the Asian Infrastructure and Investment Bank and aside from this a couple of trillion dollars from the government’s coffers to back it up. The West is not comfortable with this. Each time China’s OBOR anchors in a distant country it brings with it cheap loan package to finance infrastructure program, the Western press warned and dubbed this a potential “debt trap”. They have conveniently stonewalled the expensive loans that the West extends to countries it purports to help. The Philippines though have yet to see the color of China’s much ballyhooed bundles of funds to finance the country’s Build, Build, Build program. Both the United States and China woo the Philippines for its vital location. The US however had always treated the Philippines like a mendicant that can be satisfied with a morsel. In the last WWII Filipinos fought with Americans against its war with Japan. That war left our country the 2nd most devastated in the aftermath of world war II. The US rebuilt Japan first and then led the Marshall Plan that restored France and other European allies. What the Philippines got were bits and pieces of ‘reparations’. When it launched its offensive against North Vietnam it made Subic Naval Base and Clark Field its launching pad. Where were we after that? We queue to get our visa and Pres. Barack Obama had the gall to tell President Duterte to be careful about the human rights issues in the country. Of course he got a mouthful and was silenced forever. Pres. Xi Jinping’s visit to the Philippines is a welcome event. I believe that he is here to demonstrate not only to the Filipinos but to the critics of China that he is a harbinger of peace, goodwill and development. I want to believe that China’s Supreme Leader is here to personally deliver a loan package for the 70 big ticket projects of the Duterte government valued at $35-billion. If this happens this event will mark the golden era of Philippines-China relations. I do not know whether President Xi will be interested to see the bedroom of Duterte and the ever-present kolambo. Then maybe in his native art of diplomacy the President can tell Xi to open China’s market for more bananas and tuna from Davao. Wishful thinking for one who dwells in the boondocks of Mindanao? Libre ang mangarap. And this Mindanaowon also hopes that in this historic encounter between two leaders they would decide to convert those installations in disputed Scarborough shoal into one big marine laboratory manned by Filipino and Chinese scientists and then declare its perimeter a no fishing zone. This way the marine resource will be preserved, fishes can propagate for future generations.